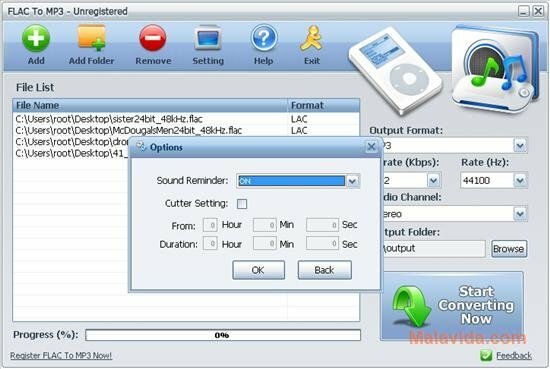 The FLAC audio format (Free Lossless Audio Codec) is one of the best available to be able to save any audio file occupying less space without losing any quality in the process. This format can come in very handy for musicians, but when it comes to listening to music on any gadget almost all of them are compatible with this format, thus being necessary to convert the files to a format that is a lot more common like MP3. 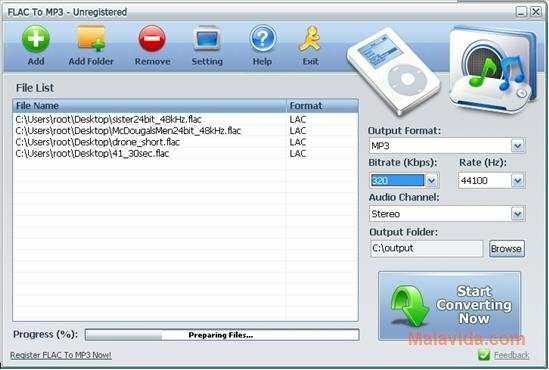 To be able to complete this conversion, you can always use FLAC To MP3, that is a rather simple and easy-to-use converter. Once installed, all you'll have to do is drag and drop the FLAC files on the program's interface, and select the quality of the resulting files. Once you have set this data you'll only need to click “Start Converting Now” and wait for FLAC To MP3 to convert the files for you. 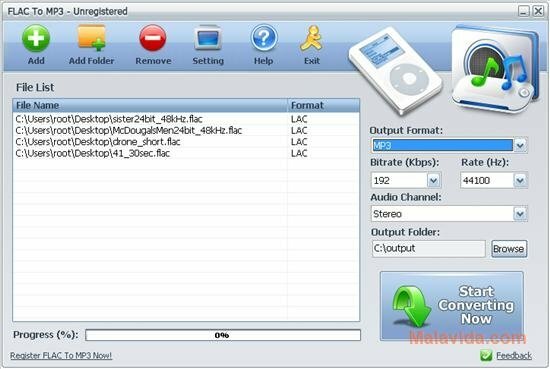 Therefore, if you want a program that will allow you to convert FLAC files to MP3 very easily, download and try out FLAC To MP3. The trial version only allows you to convert half of each file.